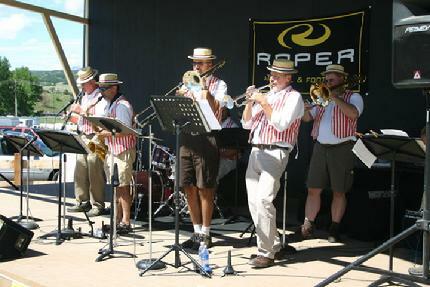 The Dixie Dogs Dixieland group has performed at First United Methodist Church of Castle Rock, St. Luke's United Methodist Church in Highlands Ranch, The Grange in the Meadows, The Douglas County Fair, and for the Castle Rock Downtown Merchants Association 2009 Christmas Event. 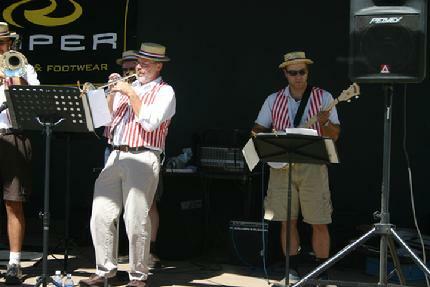 The Dixie Dogs jam at the Douglas County Fair, August 2010. Strumming the banjo at the Douglas County Fair, August 2010. 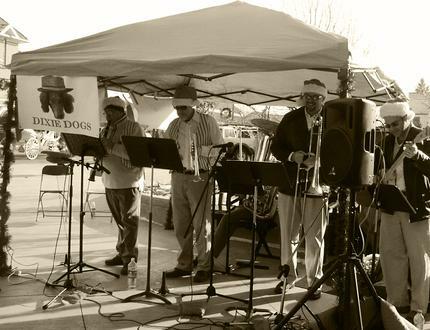 Dixie Dogs appear at The Castle Rock Downtown Merchants Association 2009 Christmas event. 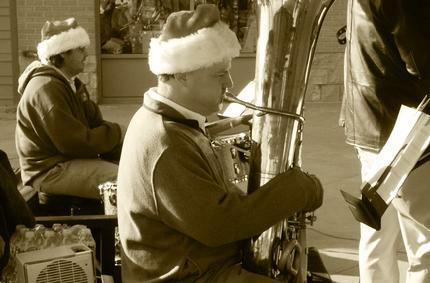 John Morgan (tuba) and Dustin Arndt (drums) perform with the Dixie Dogs. 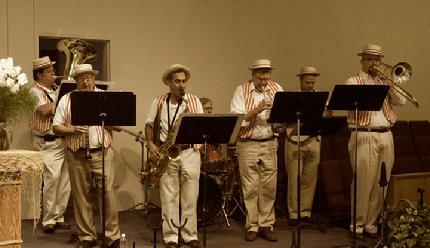 The Dixie Dogs include Bill Davis on trumpet, Mick Domenick on tenor sax, Chuck Florian on clarinet, Dustin Arndt on drums, Matt Rose on Banjo, Keven Stewart on trombone, and Bruce Blomquist on bass bone. Guests include Ken Metz on clarinet, Atul Thiwary on tenor sax, Rick Packard on drums, and John Morgan and Chris Richards on tuba.